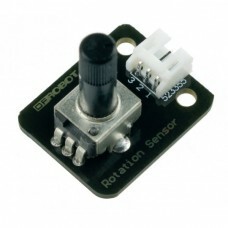 The Analog Rotation Sensor V1 is a potentiometer mounted onto a handy module. 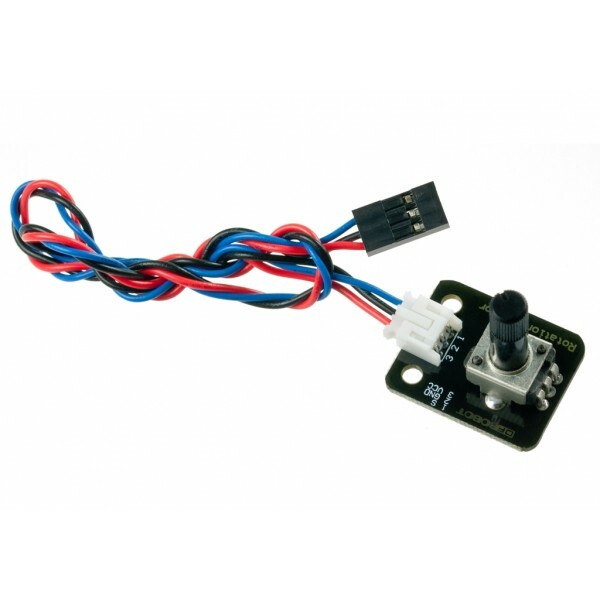 The potentiometer can be rotated up to 300 degrees to provide a varying voltage that your robot's microcontroller can read using an analog input. You can use it for a variety of purposes such as proving some calibration for your robot. Connect the (VCC) and (GND) pins to a 5V power supply and the analog output (S) pin to an analog input on your robot's controller. 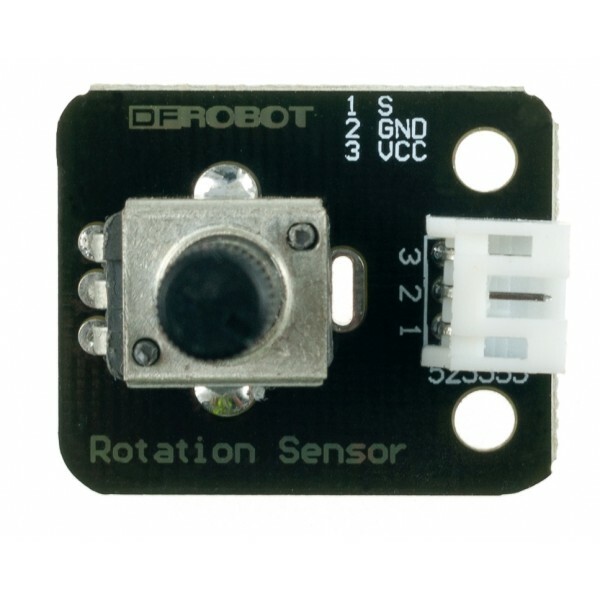 Includes one Rotation Sensor module and a DFRobot analog cable.